KIEV, Ukraine -- Ukraine has gone through a lot in the past 30 months. Despite formidable challenges, it has made important progress, both in containing Russian-backed separatism in the Donbass and in beginning needed reforms. Ukraine President Petro Poroshenko at a news conference in the Japan National Press Club in Tokyo on April 6. The author asks, what would happen to Western support if the United States and Europe conclude that Ukraine is, for lack of a better word, unfixable? Ukrainians deserve credit for this. The United States and Europe should support Ukraine, whose success or failure will have major implications for the future of Europe and the European security order. But a note of caution: Kiev should not take that support for granted. What the Ukrainian leadership does—or does not do—will affect that support and whether there is a revival of “Ukraine fatigue” in the West. The outcome of the April 6 Dutch referendum on the Ukraine-European Union association agreement was an unfortunate warning sign. Even if the referendum was first and foremost a vote about the European Union, Kiev needs to consider how its actions are seen in the West. An American has to raise this with a degree of humility, given the dysfunctional nature of politics today in the United States. That said, Kiev has spent much of the past several months in political crisis. The West watched and wondered how Ukraine could afford such a long period of politicking. With a new prime minister and cabinet now in place, Kiev must move past maneuvering for political position and turn to governing and solving Ukraine’s problems. Otherwise, Western patience may run out. The post-Maidan government took some serious and politically difficult steps. But much more remains to be done, both on reform and especially on fighting corruption. Ukraine cannot afford to bog down and appear unwilling or unable to make the reforms necessary to achieve its professed goal of becoming a modern, democratic, market-oriented European state. High expectations followed by disappointment is a movie that Ukrainians and the West have seen before: with President Kuchma in 1994, the Yushchenko cabinet in 2000 and the Yushchenko-Tymoshenko tandem in 2005. This pattern should not be repeated. What would happen to Western support if the United States and Europe conclude that Ukraine is, for lack of a better word, unfixable? The separatists and Russia bear overwhelming responsibility for the fact that so little progress has been made on implementing the Minsk arrangements. Moreover, it is difficult to implement other provisions of Minsk without a stable cease-fire. But it might not be wise for Kiev to believe it need do nothing until the security conditions are met. The Kremlin seeks to portray Ukraine as responsible for the failure of Minsk implementation, and some European Union states desire nothing more than to end the economic sanctions against Moscow. Kiev should show its commitment to Minsk. For example, the Rada could pass a law on the conduct of elections in occupied Donbass, including laying out the conditions necessary for competitive and democratic elections. If Ukraine does nothing, it increases the risk that the European Union will not find consensus on extending sanctions in July. That would cost the West important leverage with Russia. One sometimes gets a feeling that Ukraine’s elite have an inflated sense of the country’s geopolitical importance between the West and Russia—that they believe that their country is too important to fail and that, regardless of what Ukraine’s leadership does, the West will stick with Kiev out of fear that it might otherwise turn to Moscow. The elite should not think that they can engage in endless political games and assume the West will always be there, to keep Ukraine from falling into Moscow’s arms. If they do, they may one day find that the West has tired and turned away. Finally, a new American president will take office in January 2017. He or she will want to focus on domestic issues, but will also face a full inbox of foreign policy questions, including chaos in the Middle East, a rising and more assertive China, a nuclear-armed North Korea and a bellicose Russia. 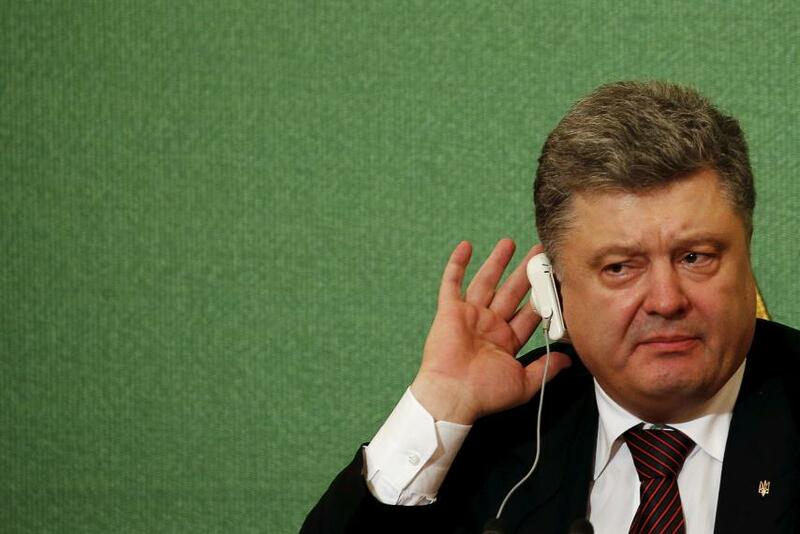 What kind of Ukraine will that president see? A country that is just muddling by, moving slowly on reform and with uncertain prospects? In that case, the new president may well be tempted to leave it to the Europeans. If, on the other hand, a determined Ukrainian leadership is making real progress on reform and transforming the country into a modern European state, while fending off Russian aggression, that is a potential success story that will attract White House interest, engagement and support. The kind of Ukraine that the new American president will see next year depends critically on decisions made now in Kiev. It would be a tragedy for the West, but especially for Kiev, were “Ukraine fatigue” to return. Ukraine’s leadership has the power to prevent that.